Time to clean out the fridge! We had some sausage that never turned into breakfast and parsley that I forgot to add to my lobster linguine. The arborio rice just came in the mail, so we were going to make gumbo. But Whole Foods did not have okra!! Turnips in soup are a little Asian, but the whole mix of ingredients was very Italian (no beans though), so it was almost like a fusion minestrone soup. We found a beautiful mix of colorful veggies for the soup. We ended up using the parsley but not the leftover spinach. Some goodies to keep around the house. 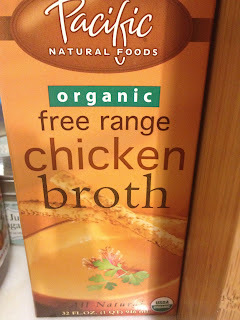 Fresh chicken stock was on sale, so we stocked up! 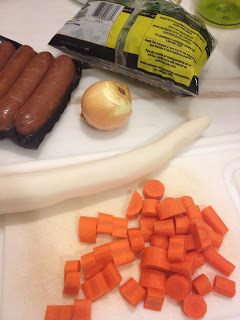 You can use it to cook so many things (which I will demonstrate this weekend). 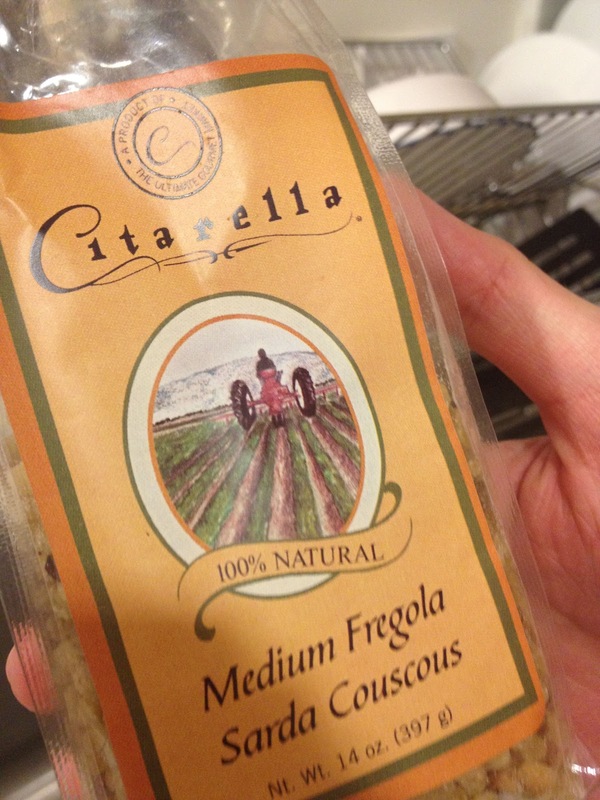 I’m sure that the couscous came from a gift package. It’s always good to keep different kinds of grains and pasta around. With water, fire, and some kind of seasoning, you will never starve. It might not look like much, but it was *amazing. * This packed a lot more heat than it looks… because my bf made it. Honestly it’s one of the best soups that I’ve had in a long long time. And I’m not a fan of inflating his ego. Every mouthful had a different combination of flavors. Two things that make this soup great. The flavor of the soup catered to our tastes. It’s a matter of trial and error and taste testing while cooking. And everything was cooked to perfection. 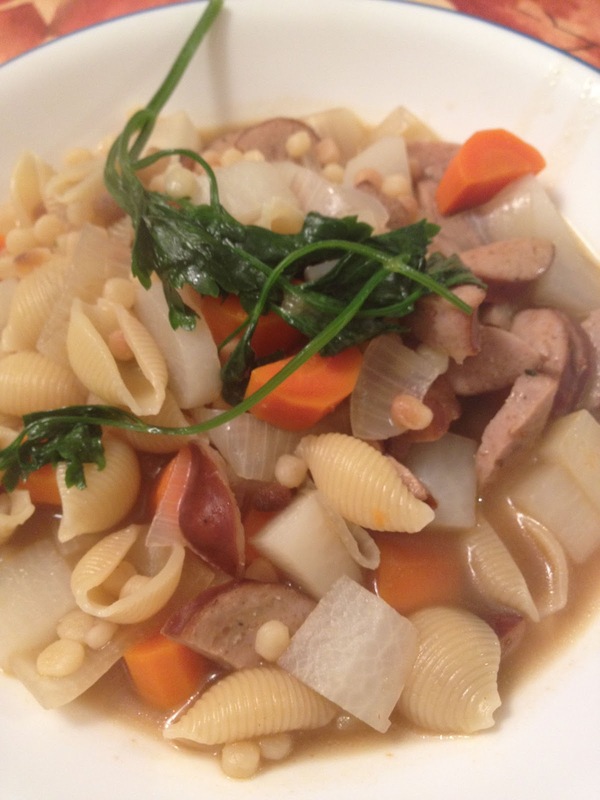 The pasta was al dente, carrots and turnips were firm but gave away to the bite, and the sausage was just cooked so that they didn’t lose their flavor to the soup.